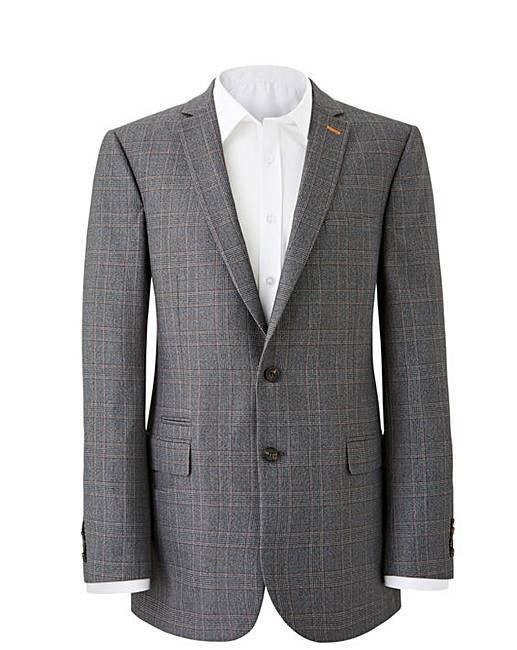 W&B LONDON Grey Check Suit Jacket is rated 4.0 out of 5 by 1. 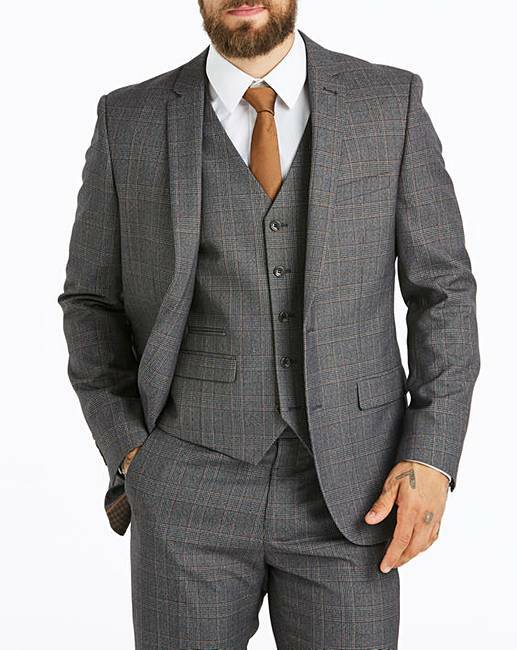 All-over check print suit jacket with one jetted chest pocket, a button front fasten, button cuffs, two front flap hip pockets and inside pockets, one of which is a button fasten. 80% Polyester, 20% Viscose. Lining: Polyester. Rated 4 out of 5 by PJM from Good Quality Lovely suit but I had to return due to me ordering the wrong size.